Easter will be here before you know it have you started thinking about easy Easter Recipes or Easy Easter Crafts? 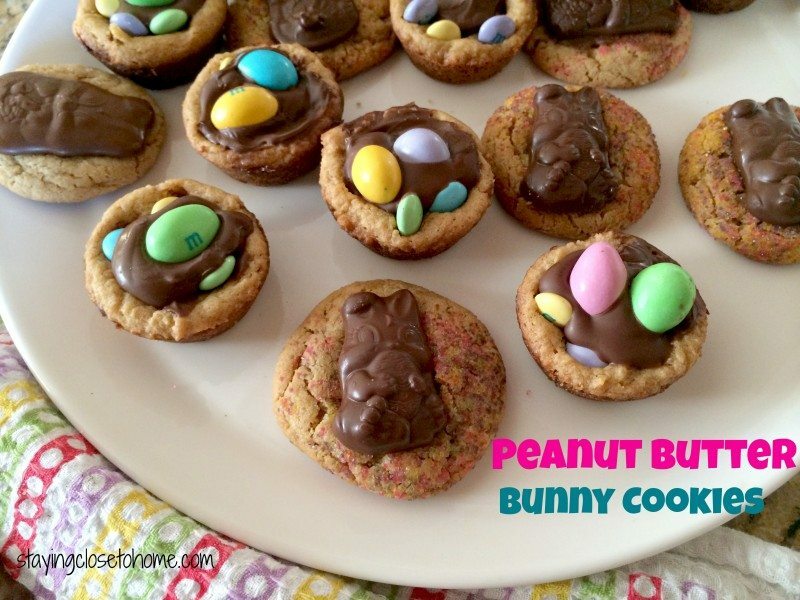 I thought I would first share one Easy Easter Recipe that did not go as planned first. I found some chocolate covered bunnies and thought I would make the Peanut Butter blossoms but use the bunnies instead. Not all projects work out the way you would like. I love the colors involved in Easter Recipes like this yummy Easter Fruit Pizza or what fun it was to have a glow in the dark Easter Egg hunt with the kids. Using your favorite peanut butter cookie recipe, make small balls and roll in colored sugar. Cook according to directions. Allow to cool for at least 4 minutes before adding these thin bunnies, or they will melt, still flavorful just not festive. 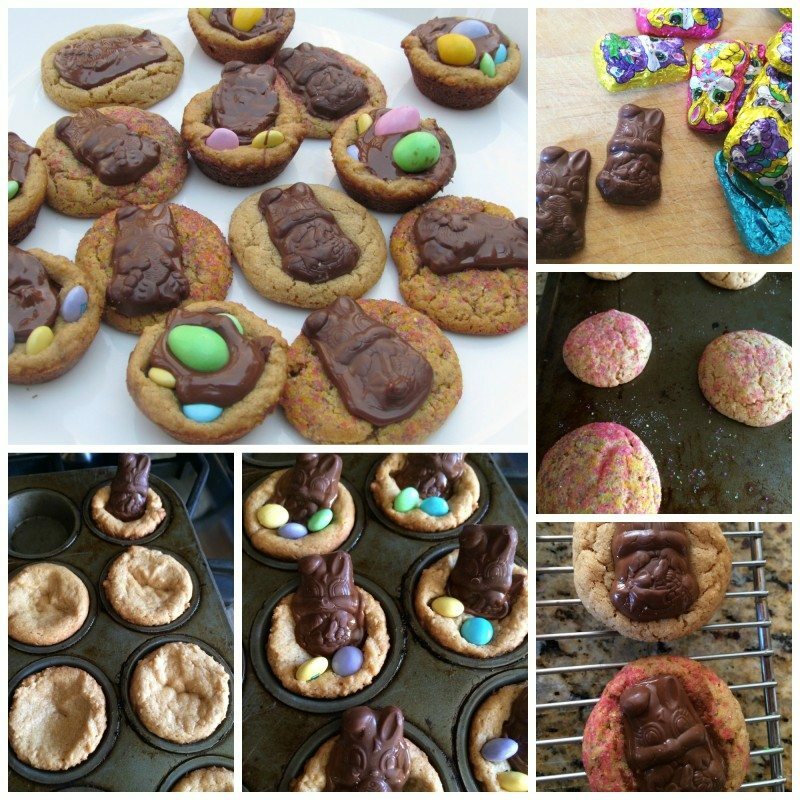 The Peanut Butter Cup Cookies also did not work, so I just moved the melted chocolate into the middle and added some Easter themed M & M’s . I guess when you are handed melted chocolate add more chocolate!! 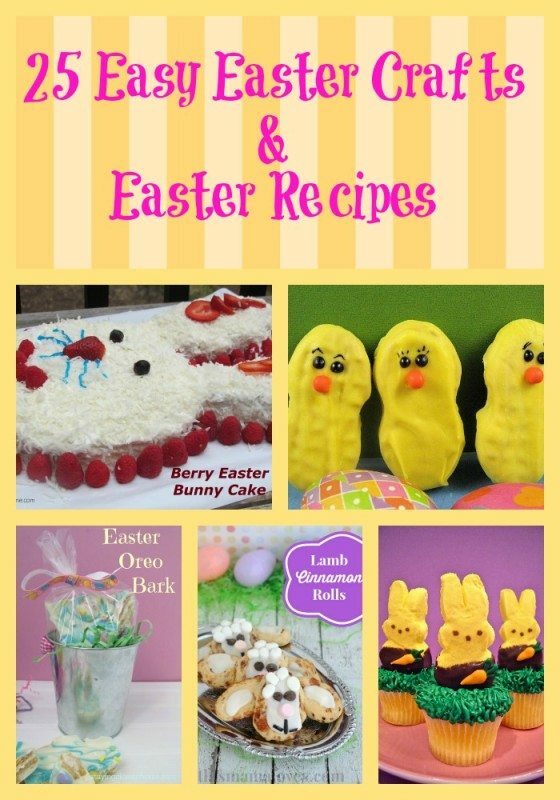 Now for a great round-up of some of our favorite Easy Easter Recipes and Easter Crafts as well as some amazing Easter projects I found on Pinterest. Feel free to add your own too, Easter is about celebrating each other right!! I think recipes using Peeps have taken over the show!! Let us know your Favorite Easy Easter Recipes or Easter Crafts. Be sure to comment if you added a link to so we can thank you!. Have a wonderful spring and can’t wait to see what creative Easter Ideas I will find for next year.